“Kampala is our first and current market. We intend to expand by replicating the same model for cities like Kigali, Nairobi, Mombasa and more across the continent,” Mutungi said. He said in an age where people were spending long hours at work, there was a need for a platform that allowed people to shop without wasting time. 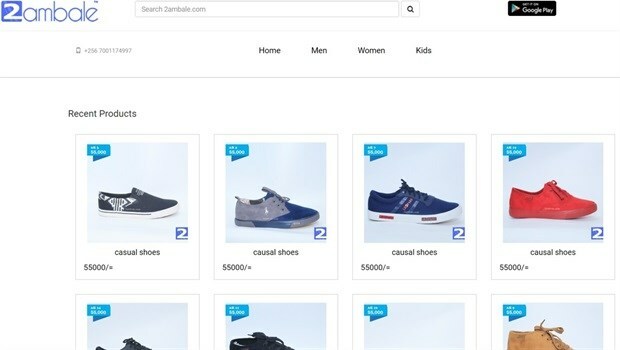 “We get all these stores on to your phone through a mobile application so that you can shop for what to wear right from your workstation,” said Mutungi. The same need for convenience is behind the promised one-hour delivery. “Living in a time where if I have a question I only need to Google to get an answer within minutes, why should I then wait for days just to receive something I’ve ordered from within the same city? This is the reason behind our one-hour deliveries,” he said. This ambitious promise will either make or break 2ambale, it seems, and how the startup fares will be worth keeping an eye on for other e-commerce businesses in Africa.